Product DetailsPreferring brandy to be set out rather than cookies, Funko Pop Krampus delivers a more charming version for the sinister "Christmas Devil." Naturally, all figures feature the half-goat, half-demon with his long tongue sticking out through his fangs and curled to the side. Holding a small whip, Krampus has chains wrapped around his waist with visible horns and cloven hooves. Offering several different figures to collect, the versions are virtually identical but display different color combinations. 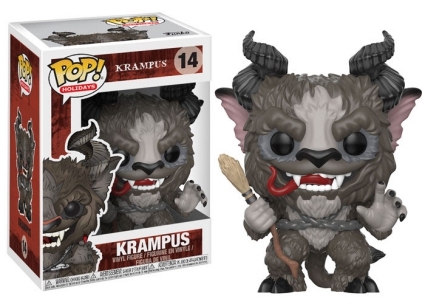 Shop for Pop Krampus Figures on Amazon. 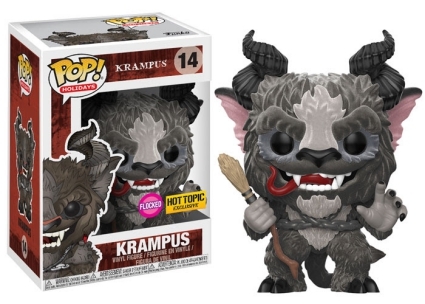 The non-exclusive option for Krampus is brown and tan, with the inside of his ears a light pink. Collectors hoping to find a more "seasonal" edition can hunt for the red chase figure. 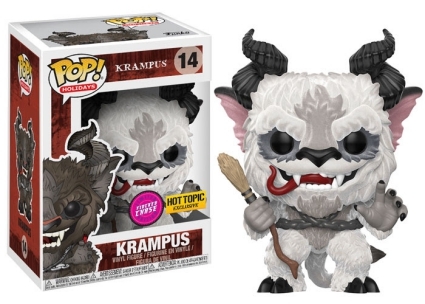 Additionally, Hot Topic is the exclusive retailer for Krampus flocked, and the snow flocked Krampus variant. Both limited chase variants average one in six boxes. 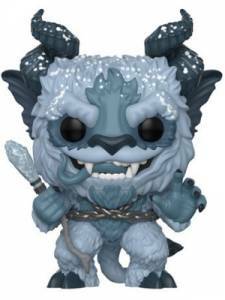 Rounding out the Funko Pop Krampus lineup is an extremely frozen Krampus that can only be found at FYE outlets. 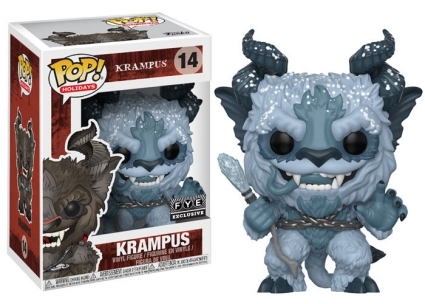 Funko Pop Krampus is included in the Pop! Holidays set, which is reflected by the box numbering. 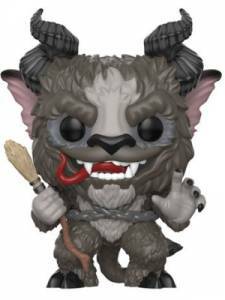 LOOKING FOR Krampus Complete Set with Chases – Funko Pop! Vinyls. DOES NOT NEED TO BE NIB. CAN BE USED. JUST WANT THE COMPLETE SET. ANY IDEAS? THANKS!! You would better off just buying the individual figures.